It would be an understatement to say that social media had a difficult year in 2018 with the Facebook family dogged by scandal after investigation after scandal, Kylie Jenner’s infamous “does anyone else not open Snapchat anymore?” tweet, and the steady stream of controversies regarding Twitter. In light of this, you would be forgiven for asking why Paid Social matters; why would you want your brand to be on these undeniably flawed platforms? The short answer: the billions of users ripe for targeting with unparalleled creative capabilities. How can marketers operate efficient, impactful Social campaigns that have a positive, measurable impact across their marketing portfolio and wider business? The starting point for this lies in your foundations. Intelligently implemented & complementary audience and creative strategy, with clear goals, is the bedrock of the most successful campaigns. Begin by choosing the right campaign goal. On Facebook, this will not only affect the options available when setting up your campaign but will also inform all optimisation decisions available moving forward. If you’re running a Traffic-based campaign when you’re aiming to maximise ROI or a Reach-based campaign for your new branding video, your campaign will never truly succeed even with perfect targeting. As you’re setting up your audiences, ensure that you’re making the most of the vast array of audience information that can be layered to create complex and highly granular targeting strategies. Whilst lookalikes, interest targeting and dynamic prospecting can all be very powerful, they need to be narrowed down to be truly effective. Finally, as you roll out your creative strategy, check that it aligns with your audience and campaign goals. Are you trying to draw in new customers, requiring a more informative creative? Are you driving existing customers to your site, or re-engaging with lapsed customers? Creatives for these audiences will need to focus more on any offers or new products. A coherent creative strategy is crucial as it increases the value of an impression in a time where a user’s attention span is more fleeting than ever. You increase the value of an impression when the imagery of that specific ad matches any interactions they may have had, or will have, with your brand. There a very few campaign attributes that do not overlap across your channels. Your budget, attribution, audiences, performance data and landing page optimisation – amongst many others – are all incredibly important to share across your marketing mix. If you don’t know where to start, Jack offers a couple of starting points. Creative Strategies: Whilst there will naturally be a difference between the copy and imagery used across Social, Search and Display, it would be a waste not to utilise a clear shared strategy as this allows for a clear and coherent customer journey. Performance Data: We’re given a wealth of data from each individual channel that all too often is criminally underused outside of its own silo. Whilst any advertiser worth his salt will be optimising at a product level on Google Shopping or selecting products for the home page based off sitewide performance, there aren’t enough cases of that data being freed to influence bidding decisions & dynamic product selection across Display or Paid Social. Audiences: Play into each channel’s strengths and adopt a customer-centric approach which appreciates the touch points that users have taken so far along the path to purchase. Passing audiences from channel to channel allows you to adapt bids, creative, copy and other strategy points as you deem necessary. A Source of Truth: Many advertisers still rely on Facebook’s tracking, which is incredibly flawed; operating in a silo which doesn’t take into account the other touchpoints in the path to purchase, wildly overestimating Facebook’s contribution. This leads to inefficient budgeting, an inability to effectively test, and inappropriate bid optimisations. A combined approach is needed, using deduped social activity to gauge true ROAS whilst also using Facebook post-view attribution on appropriate campaigns to assess further impact. An appreciation of Social’s role within your wider marketing mix and business strategy is a key area of growth for many advertisers, to break it out of the silos and drive increased performance across your business. Armed with Jack’s advice, you’ll be able to develop a complete marketing strategy which allows you to share your insights to great success. You can view Jack’s slides here. In the midst of Q4, you’re probably drowning in data already. Or you’re likely to be post-Black Friday! At times like these, no one wants to spend hours churning through reports, or figuring out on-site journeys from those rather confusing Google Analytics flow reports. We all just want to know what’s working, and what’s really been going on with our customers. To help with the data overload, here are our top 10 tips for creating easy-to-use Data Studio reports that are bound to impress your colleagues. You’ve created your first Data Studio dashboard and added your data source. You are then presented with a blank canvas. Pretty intimidating, right? 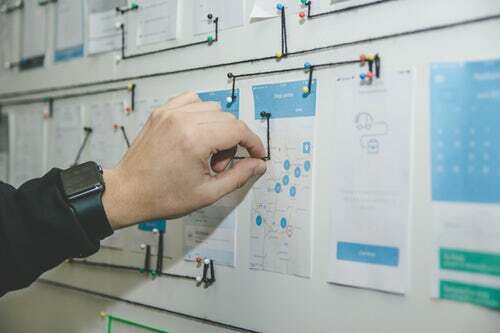 Deciding in which direction to take your dashboard may seem overwhelming at this stage and to overcome this, you may be tempted to dive straight in and get creative. However, doing so at this point can result in a confusing dashboard that doesn’t answer all your questions, or match what you had initially imagined. To avoid this, it’s a good idea to define your requirements early on. Considering what key information you want to convey in your report, and who your audience will be, helps provide a framework for what you build. Thinking about your KPIs is a good place to start. Do you really need all those metrics, or will sessions, transactions and conversion rate suffice? Data Studio offers a great variety of opportunities for customisation, and for those of us who spend our days in Excel it can be pretty enticing to get as creative as possible! However, you’re probably after a professional and streamlined look, so try not to get too overzealous. Might be best to leave the word-art and rainbow colour scheme at the door. Sticking with a couple of complementary colours and one or two fonts will make the report easy to read and allow the audience to absorb your key points. 3. Utilise different ways of displaying information. Data studio offers 11 different chart types, making diverse presentation of data easy to implement. Having a variety of visuals in your report will engage the viewer and help them understand what you are trying to convey more easily. When you’re choosing your chart type, have a think about what it is you’re trying to communicate. If you have more than 3-4 data points, a pie chart might not be the best solution; if you’re showing how a metric has changed over time, a line graph is likely your go-to option. Adding the date range widget allows you to view data dynamically and maintains the relevance of the report, as it is easy to update the widget as time passes. Goodbye weekly reporting – or more like daily over Black Friday! – and hello to a single report that never expires. This is by far one of the most useful feature releases Google have done for Data Studio. It’s pretty impossible to create a base dashboard that meets everyone’s needs. You might be focused on customer retention, whilst your colleague is all about customer acquisition – and the report you create for the digital team on a Monday purely focuses on Mobile traffic. The magic of Data Studio is being able to create one report, with the option to bring in various Google Analytics segments in order to aid finding customer insights for different audiences. Don’t be afraid to play around with different functionalities and customise charts as needed. A time series chart, for example, can be manipulated to appear as just a trendline rather than a detailed graph. 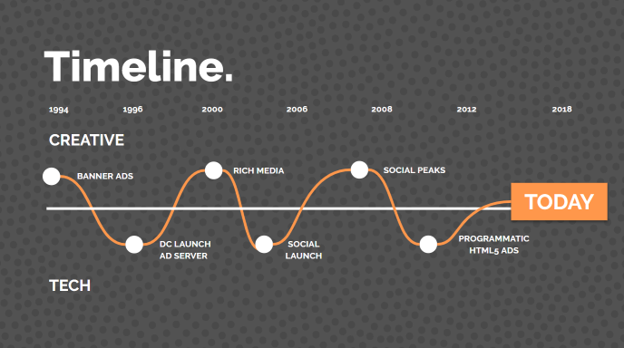 This can be helpful in visualising top line trends at a glance. We’ve found it particularly helpful to use overall numbers (i.e. total revenue, total orders) and their % change year on year at the top of all our reports, before we delve into the details further down. This helps to easily contextualise any granular insights on performance. Having all the relevant data presented on one page has merit in that the information can be communicated at a glance. 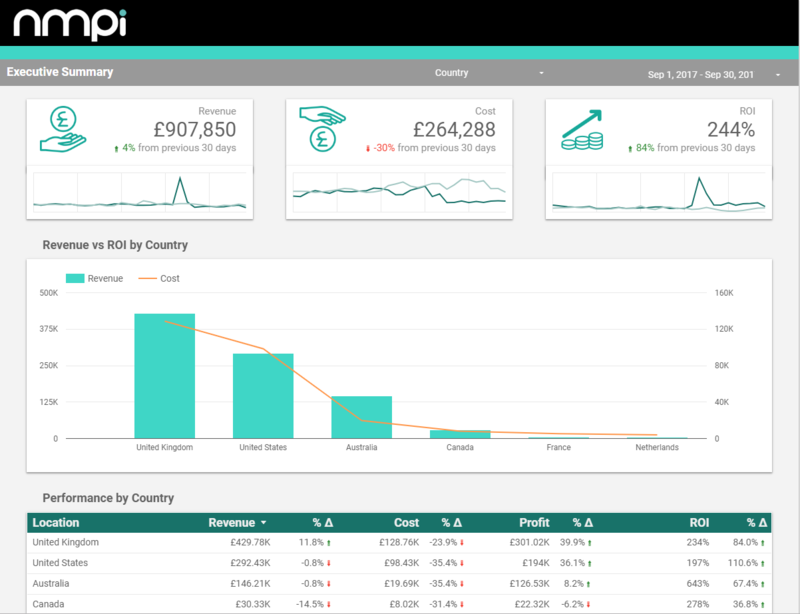 However, if your dashboard starts to look cramped, this may have the opposite effect – making the report hard to read and potentially losing the interest of your audience! To avoid this, Data Studio offers a multi-page functionality. A good tip when utilising this feature is to give each page an overarching topic. This will help keep the report organised and easy to navigate. It’s also a great idea to use the opening page as an Executive Summary, with the following pages drilling down into more detail for those that need it. Google recently introduced a data blending functionality that allows different data sources to be combined, or ‘blended’. For example, combining data from multiple GA views is now possible. This is a huge time-saver for those users who don’t have access to a data warehouse where the data is already blended for them. Perhaps you want to include a data source of margin data from Google Sheets for all your products sold. Voila: you can now generate insights across numerous sources with a few clicks of a button. Data Studio allows you to create copies of your dashboard – super handy if you need to generate multiple reports with similar styles for various purposes. You can simply copy your dashboard and use this copy as a template, no need to start again from scratch! Customising charts and visualising data can be fun, but don’t forget to give some detail to your analysis. Not everyone is data literate and so it’s good practice to provide an explanatory label for each chart you create, including any caveats they need to be aware of (i.e. site was down for 3 hours on x date). Sometimes it’s even helpful to add a brief line of commentary, if you feel it’s particularly relevant for the point you want to communicate. 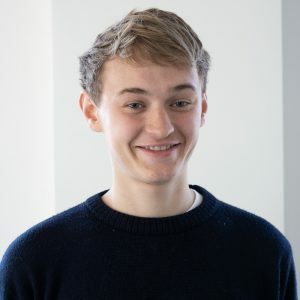 This is the second edition of our coverage of Luke Judge’s presentation at connect:London. Last time, we looked at how art and science complement each other to inspire great work. When they work together, they can transcend complexity to create something truly beautiful. As a marketer, we should be using these moments to get potential customers from moments of wonder to the “I Do” moment. In the second half of the presentation, we look at how the current technological climate has allowed us to unite media, creative and technology in order to deliver experiences that delight audiences. Reaching the “I Do” moment has never been more promising. Once upon a time, technology could only support media or creative, never both. Now, however, we are on the cusp of a creative renaissance, where our technology has matured enough to give us a unique opportunity to bring together media, creative and technology in new and exciting ways. From the first banner ad in 1994 to the launch of social advertising in 2006, all the way up to the introduction of DoubleClick Bid Manager in 2012, we’re now at a place where programmatic bidding is everywhere. We’re moving into a new phase of interconnectedness where data and measurement bind media, creative and technology together. There has never been a time when we have had such powerful tools to deliver experiences that delight our audience. With all of this in mind, how do you get started? Think of the modern marketing mix as an orchestra, with an effective CMO as a conductor as they piece it all together to deliver a great experience for their audience. Data, creative, tech. media and measurement all make up different sections within the orchestra: woodwind, brass, strings and so on, and each one needs their own time to shine. Data – Your Violin Section: Use data to garner learnings about a target audience and create a segmentation plan to deliver results. Data comes in many forms, it’s up to the marketer to collect and unite what’s relevant. Creative – Your Woodwind Section: In the same way that the woodwind section often leads the melody, creative leads your campaigns. This is where we pick the formats that will appeal most to the audience. Tech – Your Percussion Section: This gives us the right tools to monitor your creative formats, underpinning everything that we do. From setting up and managing our campaigns to the measurement of their performance, we couldn’t do any of this without our technology. Media – Your Brass Section: Media gets your campaign out into the world; finding the right audience at the right moment, with minimum waste, at the best possible price. Measurement – Your Lower String Section: The strings sit at either end of the orchestra, and measurement is the twin to data. You rarely find violins without a double bass, and you won’t find data without measurement. This allows you to demonstrate your performance, supporting your entire marketing symphony. In any given symphony, different sections will need to be showcased; focussed on; brought to the forefront. As a skilled conductor can control the whole orchestra while also bringing out the melody, a talented CMO has complete oversight of the marketing mix, knowing exactly the right time to bring out different elements. Our key takeaways are simple. Use data to get to know your audience. Tell them a story that sparks an emotional response and use creatives which build on that connection. As you’re taking stock of performance, measurement will be important but remember to trust your instincts. Then you’ll be sure to get the “I Do”. You can find the slides from Luke’s presentation on our Slideshare. With Cyber Weekend behind us and Christmas looming ever closer, these next few weeks are the most crucial for any advertiser. We asked the team at NMPi for their top tips to make the most of your campaigns and snap up those last minute sales. “Use your audiences effectively! It might be easier to capture searches for “insert-brand Christmas sales”, it’s a tired approach that relies on consumers actively looking for you. While efficiently capturing searches for just “Christmas sales” is more difficult, it can often prove more profitable if done right. You’ll be able to pull wandering consumers back to your brand and drive additional revenue all the while.” – Josh B, Senior Account Executive. “On social, there are a couple of things you can take advantage of. If your messaging is based on gifting, then make sure your creatives reflect this. For example, have your creatives feature people enjoying your products, rather than focusing on products themselves. Also, remember that some customers may only buy from you once a year – they might not be a part of your normal demographic but are buying a gift for someone who is. To be able to retarget them, you can leverage CRM lists to circumvent the 180 day limit on Facebook pixel audiences. This way, you can target people who might have fallen out of the normal targeting window or don’t match your interest-based targeting.” – Jack C, Performance Manager. “Storytelling over this period, particularly on display, is always a winner. Plan your ad copy or creative so each user learns more about your brand each time they see your ad.” – Charlie K, Account Executive. “Increase your Display spend at the beginning of the month to raise awareness of your offering early on. 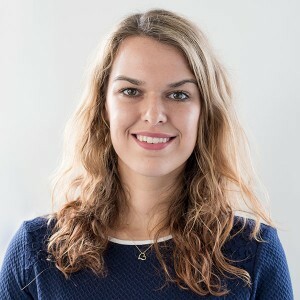 While it might be a little late for that now, you should also ensure that your last delivery date is called out in your messaging.” – Alice M, Senior Account Manager. There’s not long left until the big day, but with these top tips you’ll be able to pick up some quick wins across the Yuletide seasons. If you want to get some external insights into how your campaigns are performing, take advantage of our Christmas gift this year: a full digital audit. Get in touch with the team to request yours today. You can never underestimate the power of great experience in driving performance, and great experience comes from uniting art and science. 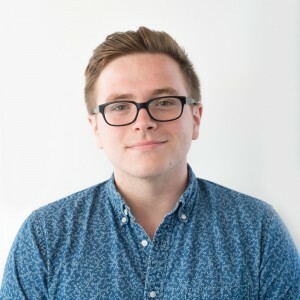 NMPi CEO, Luke Judge, brought his thoughts to the stage at this year’s connect:London. Art and science complement each other to inspire great work. Music, an inherently artistic discipline, is filled with mathematics: major scales are based upon the mathematical equation for the 12th root of 2. Leonardo da Vinci was an extraordinary artist because he was an extraordinary scientist, and his empirical observations of form were the basis for his paintings. 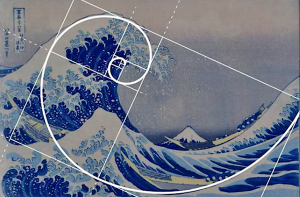 So when art and science come together, the result transcends complexity to create something truly beautiful. It can be hard to think about digital marketing beyond its impact to the bottom line, but we should be striving for truly great marketing that makes us feel something different: be it wonder, curiosity, excitement or fear of missing out. It is those feelings that create an emotional connection with your brand, and ultimately establish customer loyalty. Our job is to get someone from those moments of wonder to saying “I Do” and making that lifelong commitment. 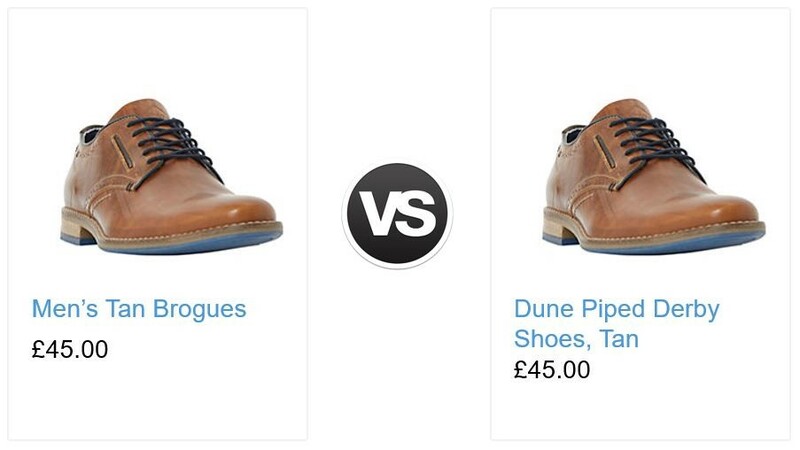 So how do we guide customers from their first search all the way to that final conversion? Let’s start by dating; you have to meet your customer first at a time when you are relevant to them, so pique their interest on Search. They’ll swipe right when they’re ready. Once you’ve got them interested, it’s time to add some sizzle. With high impact creative you can create excitement. If you’re a retailer, create an environment which allows them to browse shoppable products set within a real-life setting. By creating these real-life environments you can establish your branding and resonate with the consumer. You then need to spend some quality time together with personalised dynamic creative. This is where you focus on each other’s interests, build loyalty, and extend your relationship. Say a customer put a tennis racket in their basket but didn’t purchase – target them with a discount code on that racquet to encourage their conversion. If they have previously purchased a racquet, instead target them with related products like tennis balls. After you’ve spent some time in a relationship, it’s time to get engaged. Make sure it’s a great experience; frictionless like the iPhone. You need to be honest and trustworthy, like John Lewis and Marks and Spencers. And you need to be there when they need you like the AA. If you want to find out more about the presentation, you can download Luke’s slides here, and you can read part 2 here. Is your Google Analytics GDPR-compliant? It’s now been 6 months since GDPR came into effect, and the initial panic appears to have settled. However, it’s not over yet! It turns out GDPR isn’t a problem you can solve overnight, and then tick it off your to-do list. 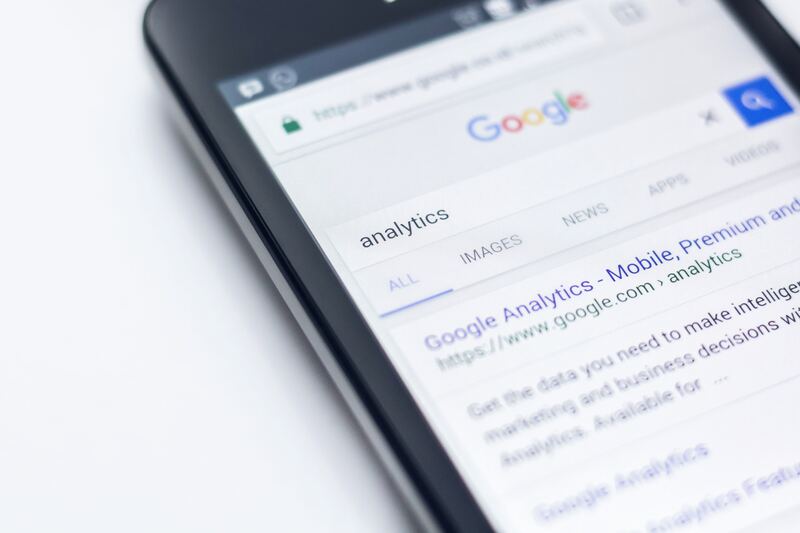 In the past few months, we’ve seen some businesses struggle with Personally Identifiable Information (PII) being captured within their Google Analytics. And so, here’s a short how-to guide, for ensuring you aren’t picking up that pesky personal data along with all your valuable customer insights. How can GDPR be breached in Google Analytics? Capturing PII-related custom dimensions that aren’t using hashed or salted encryption. Page URL’s. 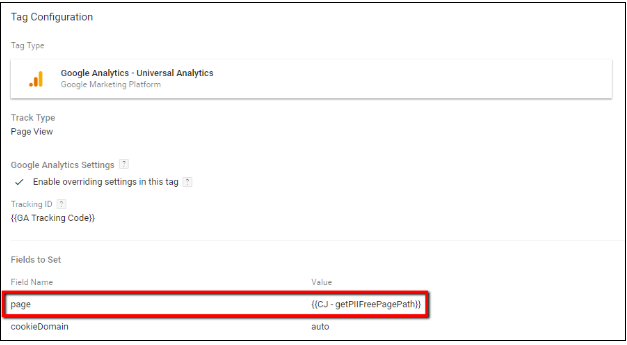 The basic Universal Analytics tag collects the URL of every page viewed, and passes this unfiltered through to Google Analytics. Occasionally PII can make it’s way into a URL, particularly during redirects from an email service provider. Search Terms. Users seem to love accidentally searching for their own email addresses, and of course, this ends up straight in your Search Terms report. To identify whether you are collecting PII data through either of the above, navigate to the relevant report (For Page URL: Site Content > All Pages, for Search Terms: Site Search > Search Terms) and search the @ character in the in-report search function. This will show up all instances of email collection in the time period you have selected. I’ve found some PII in my GA reports – how do I fix this? If that’s the case, do not fear. There are a few ways the issue can be eliminated. This is the preferred solution, as it ensures no PII data is passed from the URL from the outset. In the example code below, we have chosen to replace the email address with the word ‘redacted’. The variable, in bold, can be replaced with whichever URL variable you have set up. If you don’t use GTM, the PII issue can be solved via the GA View Settings in the Admin section. Within the View Settings, include the relevant query parameter in the ‘Exclude URL Query Parameters’ box for instance customer_email, or whichever the term is which precedes the PII data in your URL. If your tagging is hard-coded on-site, you can add the below line of code to your Universal Analytics script to amend the URL’s before sending data to GA for reporting. The ‘new page value’ is where an altered page path is sent to GA, which will be coded by your site developers. The new line of code should be fired on all pages on the site along with your hard-coded GA script. The solution to this is much like the approach identified in section 1 (‘there is PII data showing in my All Pages report’) however, the change CAN’T be made within Google Analytics itself, using the option of excluding URL query parameters, as this will remove all on-site search tracking. The same GTM solution can be used, as detailed already, with the same results. The hard-coded option can be used, however your on-site developers will need to ensure that the ‘new page value’ which is passed to Google Analytics only excludes search queries where an email address is present, otherwise all on-site search tracking will be excluded from reporting. PII data can be found in Google Analytics, typically passed from URL’s, Page Titles and Search Terms. However, these instances can be prevented easily enough using the above tips! The best option is implementing fixes in GTM, as it means PII is excluded from the very start of the data collection journey, but there are also options in GA or through hardcoding that are available. If you need any help with the above, or are concerned about GDPR compliance in your Google Analytics, give us a shout. The launch of a major product can often be a make or break moment for any company. Whether it’s the launch of an updated version of an existing product, or a brand new product or service altogether, launches can significantly alter a business’ competitive landscape. Over the years, we have supported a number of brands with product launches, from new over-the-counter medicine, tickets to major new shows and releases of the latest high-end trainers and technology. In order to help you get the most out of your next launch, we have compiled our top tips for creating a successful paid search strategy. Before your product is even on the shelves, you can hit the ground running with a “pre-order” campaign designed to raise awareness and help build up your audience lists. Send this early traffic to a dedicated pre-order landing page to find out more information. For your launch campaign, keyword planning will be crucial in determining your success. Remember that users might not be searching for the exact product if it’s brand new, so you’ll want to think about other search terms that would be relevant. Generally, focus on brand match keywords for your initial launch to pick up new search terms. In terms of audiences, be sure to leverage traffic from your pre-launch and early ads in order to engage them at a later date with more personalised messaging. Other audiences that are worth targeting are users who have visited pages related to similar products or those who have purchased a previous version in the past. Past purchasers are more likely to be brand loyal and will already be interested in the latest product. Be mindful of any other above-the-line activity from the manufacturer or brand, as you can often sync this up with your digital advertising to great effect. For example, if a TV ad is running then you can set up scripts to sync your search activity with the TV times. Competitors can be a great resource when planning your product launch. Review their ad copy and landing pages to see how you stack up. For example, if all of your competitors are offering the product at a particular price point, then where possible you should match this price. As many will know, your work doesn’t stop once you’ve set your campaigns live. Competitor monitoring tools such as Google’s Auction Insights for search can be used to assess how the market has changed and who the largest players are in the market. If you’ve forecasted a large uplift in search volume before the launch, monitor your bids throughout the day to ensure that your ads remain in competitive positions. Search Ads 360 allows you to set up a bid strategy to maintain high positions for new keywords. Given that the majority of searches now take place on mobile and the screen size is a lot smaller, resulting in fewer ad placements, it’s even more important to ensure your bid multipliers will keep you in the top positions. In the following weeks, you will need to continually monitor and optimise keyword bids and bid multipliers to ensure continued efficiency and stabilised performance. If you notice significant trends between devices or locations, it may be worth splitting out campaigns to have a greater control over your bids. Find out how we ran a product launch that saw 49% of sales come from new customers in our Fitbit Blaze case study. Following the recent launch of our CSS solution and the announcement of our Premium Google Comparison Shopping Partner Status, our Head of Performance, Max Flajsner, led a highly insightful webinar explaining Google’s latest platform. Comparison Shopping Services (CSS) were a huge industry in the 90s, but after Google launched Google Shopping they noticed that their search traffic was being decimated as they were forced down the SERP. One lawsuit and a record-breaking €2.4 billion fine later, and Google have been instructed to clean up their act. In response, Google has opened the doors for CSSs to buy Google Shopping space. The biggest benefit of using a CSS is that you can save over 20% just by signing up. 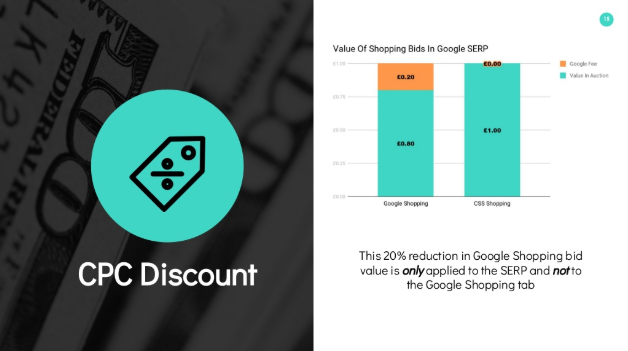 As an incentive, Google introduced a 20% discount on CPCs in the SERP, making you 20% richer in the auction, and a Spend Match, giving you ad credits based on your spend within a 30 day period. CSS Shopping campaigns work almost identically to Google Shopping. While you do need a different Merchant Centre, this looks mostly like the standard one with a few additional functions. You also manage your activity through your usual Google Ads account. Within Google Ads, you’ll see your discount appearing as part of your campaign performance metrics – which should be 20% better – and your Spend Match vouchers will appear like any other voucher from Google. On the SERP, you will never serve the same product more than once, which means that you will never be bidding or second priced against yourself. When a user clicks on the product name they will be directed straight to your product page, or if they click on the CSS name they will be redirected to the CSS with the search term pre-populated. When setting up your new Merchant Centre you have two options: to clone your Google Merchant Centre or switch over. The choice will depend on who you are as a brand and the kind of measurement you want to see. You’ll be able to test performance of CSS vs Google for yourself. You can split traffic by Shopping tab/SERP. It will take longs to make changes. We suggest you lower your bids by 15% and slowly scale up to account for the discount. At the same time, you should scale your shopping bids down. You can keep all of your old campaign management. There’s no change to your GMC management. You can’t manually test CSS vs Google. You can’t split SERP and Shopping tab data. There are 4 main things to keep in mind when choosing your CSS Partner. Are they direct linking? Do they send users straight to your product page or do a redirect to their site first? How strong is their Google Shopping Offering? Since CSS Shopping campaigns are exactly the same as Google Shopping campaigns, you’ll want to investigate their prowess on Google Shopping to give you an indication of how their CSS Shopping will fare. What commercial model do they use? Depending on your needs, be it gap coverage on an affiliate CPA model or the traditional agency model, you’ll need to see who offers what you’re looking for. What level of servicing do they provide? Do they offer reporting or dashboards? How often push feeds to the CSS GMC, and how often do they update their site. To find out more about NMPi’s CSS solution, visit our Comparison Shopping Services page or read our latest case study from client Watch Shop. Google Shopping is one of the most profitable channels for retailers, predominantly because it’s so easy for consumers to use. Unfortunately, it’s not the easiest of Google tools for a brand to optimise, and a lot of your problems will stem from the quality of the feed. In our first dive into best practices, we’ll be going over everything you need to know about getting your Feed right. 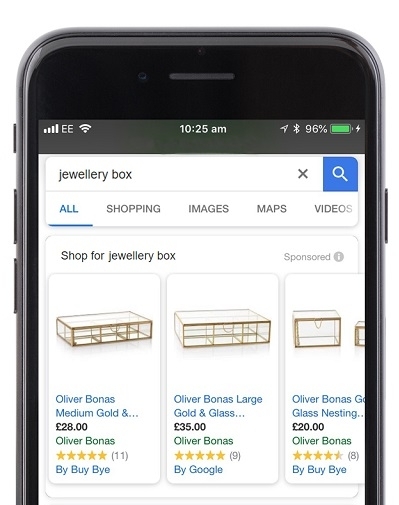 Your Google Shopping Feed comes from the Merchant Centre, and your actual campaigns come from AdWords. What makes it different from a regular campaign in AdWords, however, is that it doesn’t use keywords, but we’ll get into that a little bit later. As you’re setting up your feed, there are a couple of things to make sure you cover. One of the biggest mistakes we find with Shopping Feeds is short product titles or ones that don’t include the brand for example. Google Shopping doesn’t work like traditional Paid Search: there are no keywords to bid on. Instead, Google uses information from advertisers’ product feeds to match search terms to relevant products. You’ll need to make sure you’re actively including all distinguishers in your item titles and descriptions of your feed. As any PPC expert will tell you: if things are performing differently, you need to split them out and treat them as such. Sizes and colours are the big players here. Add these distinguishers to the product titles, and you’ll likely see an increase in your conversion rates. Other fields to ensure you have taken care of: brand, description, GTIN, product category (which is defined by Google) and product type. According to Google themselves, the product type is the second most important thing in determining which searches you show for. The product type is something which you define, so the more specific and granular you can be, the better you’ll perform. On a final note, the feeds need to be updated as often as your stock is. Once a day is likely a bare minimum, but we work on feeds that are updated at least four times a day. It’s a constant labour of love, but it gets the job done. Preparing your feed is key to performing well with Google Shopping, but what happens when you don’t have control over your feed? Optimising delivery focuses on search query level bidding. In a similar way to bidding higher on specific keywords, you can bid up on the products people are buying or searching for. If you know certain sizes or colours aren’t performing as well, you can reduce your bid. If you know that your women’s clothes sell better than your men’s range, you can increase the bids to match. Taking it a step further, you can place one product per ad group and follow product level bidding. This allows you to keep a much closer tab on what searches you’re appearing in. For example, if you have a child’s shirt that isn’t appearing in any child searches, you’ll notice this quite quickly with this campaign structure. From here, you can fix the problem within the feed, or you can negative it out. Negative keywords are far more effective when you set one product per ad group. Imagine you have all of your shirts in one ad group. You find that a particular men’s shirt appears for the search “children’s polo shirt”. To stop this from happening, you add “children’s” as a negative keyword – but this means that any children’s shirt in that ad group won’t appear when you want it to. By placing one product per ad group, you are able to be much more granular and specific in your targeting; as well as being able to make the most of your budget. When you’re setting up the product title in AdWords, make sure you’ve got the brand in the title, as well as any events which are coming up: “Valentine’s Day” or “Mother’s Day” for example. A little trick that has seen conversion rates improve massively is to include “for Her” in product titles for women’s clothes and “for Him” on men’s clothes. Google Shopping can be tricky, but when done right it is hugely profitable for retailers and brands. If you need a refresher or want to show your colleagues, check out our one-page PDF with all of the tips you’ll need to nail your Google Shopping. Valentine’s Day: one of the biggest retail holidays in the calendar. With only 7 shopping days left until the big day, we’ve compiled some of the best tips to get the most out of your Facebook advertising spend and maximise your conversions in the last minute shopping frenzy. With Facebook and Instagram Advertising, you’re able to really drill down on the right target audience, which is particularly important with this specific holiday. Most people have their relationship status on their profiles, making this crucial data readily and easily available to advertisers. This allows you to target users who are in relationships, whilst not wasting your budget on the single population. When you targeting people in a relationship consider differentiating by relationship type: boyfriend/girlfriend, just engaged, newly weds, or married long term. This will allow you to personalise your messaging for a higher conversion rate. Make sure to build custom audiences specifically, people who are looking at Valentine’s offer pages on your website that have yet to purchase. You can then retarget these users with the products they were looking at. Since you can do such granular advertising on Facebook, you need to make sure your copy is up to the task. Differentiate your messages between male and female audiences. Make sure you’re highlighting any services like Click and Collect or Free Delivery: these will be hugely important as consumers do their last minute shopping. However, if there’s terms and conditions on these services they need to be clear. Sequential messaging might also be useful as a reminder to the consumer of deadlines for online ordering. This puts a sense of urgency into the user and will encourage them to convert. Another aspect of your ad that is crucial to nail is your landing pages. If you’ve got two separate ad campaigns running as “Gifts for Him” and “Gifts for Her”, you’ll need to ensure that you have corresponding ad pages for them. If you’re advertising gifts for her, consumers will be less likely to convert if they’re served a generic landing page. Any offers for the holiday such as, 10% all gifts, will have a higher conversion rate with a dedicated landing page. When creating your ads, the best performing formats are the carousel, and video. Something important to note: keep the copy on the images to an absolute minimum, if you need it at all. Facebook doesn’t tend to serve ads that have too many words on them. Also, ensure that your images are the correct size for the platform. A picture that is optimised for Facebook on desktop is never going to look the same on Instagram. Speaking of Instagram, video also works really well here. If in doubt, a high quality photo showcasing your product works the dream. So, if you want to maximise your conversions this Valentine’s Day: make the most of the targeting capabilities available, keep your copy tight with relevant landing pages, and showcase products using video and carousel formats.